Do you snore at night? Are you tired in the morning and during the day even when you seemed to have a full night sleep? Are you irritable, hazy, and have difficulty concentrating? There is a chance that you could suffer from obstructive sleep apnea. The National Sleep Foundation states that over 18 million Americans suffer from sleep apnea. We have provided some information to help educate our patients about this problem. Matthew Nawrocki DMD, MS is proud to serve the residents of Orange Park and the surrounding communities with treatment for sleep apnea. Sleep apnea is characterized by a cessation of breath during sleep, each of which lasts at least ten seconds. More specifically, obstructive sleep apnea is caused by an airway blockage or a relaxation of the throat muscles that makes breathing difficult. This condition can create many undesirable side effects, and can be systemically damaging or even deadly. The most noticeable symptom of obstructive sleep apnea is fatigue. This fatigue is often felt during the morning and daytime hours, making concentration difficult, impeding daily duties, and leading to dangers while driving. In addition, patients that suffer from sleep apnea often report an abnormal sore throat and a dry mouth upon waking. Insomnia and morning headaches are additional problems associated with sleep apnea. In addition to the symptoms listed above, there are other signs that you may have this problem. These signs are often witnessed by your bed partner. Loud snoring is a common finding due to the relaxation of the throat muscles. The breaks in breathing can also be witnessed by another person. If these signs are noticed, it is best to seek treatment. Fragmented sleep does not allow the body to heal and rest as it should. There are countless negative results of this lack of repair. In addition, sleep apnea deprives your body and blood of the oxygen it requires. This can lead to hypertension, stroke, and mood or memory problems. The traditional treatment for sleep apnea is continuous positive airway pressure (CPAP). The CPAP system forces air through the throat to fight sleep apnea. When interviewed regarding this treatment, most patients claim that it is uncomfortable. This often leads to the patient not wearing the device and therefore obtaining no benefit. 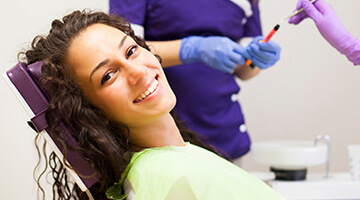 The dentist may be the healthcare provider best suited to treat sleep apnea. Oral appliance treatment involves selecting, fitting, and using a custom created oral appliance that gently opens the airway and eliminates the obstruction. These treatments are comfortable, small, noninvasive, and effective. 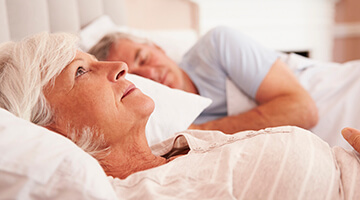 At Matthew Nawrocki DMD, MS, we utilize the technology of SomnoMed oral sleep apnea appliances. Developed in 2004, SomnoMed and the SomnoDent products are designed to provide sleep apnea treatments for patients suffering from this ailment. Feel free to browse their website for more information. We are also happy to provide a thorough consultation and answer any questions for you at any time. Just call us at (904) 602-8455 or contact us electronically.